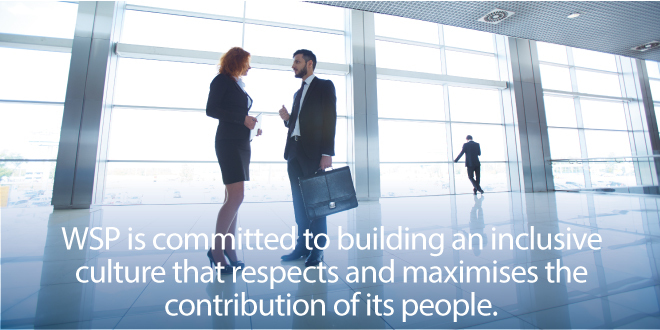 & Buildings, Transportation & Infrastructure, Environment, Industry, Resources and Power & Energy sectors, with 36,000 employees in 500 offices across 40 countries, WSP is committed to building an inclusive culture that respects and maximises the contribution of its people for the benefit of clients, shareholders and wider communities. 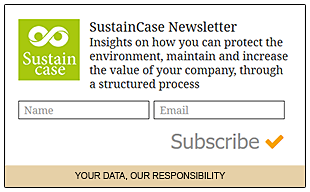 This case study is based on the 2016 Global Sustainability Report by WSP published on the Global Reporting Initiative Sustainability Disclosure Database that can be found at this link. Through all case studies we aim to demonstrate what CSR/ ESG/ sustainability reporting done responsibly means. Essentially, it means: a) identifying a company’s most important impacts on the environment, economy and society, and b) measuring, managing and changing. In its 2016 Global Sustainability Report WSP identified a range of material issues, such as economic performance, occupational health and safety, training and education, emissions, anti-corruption. Among these, promoting diversity stands out as a key material issue for WSP. To identify and prioritise material topics WSP engaged with external and internal stakeholders through questionnaires and individual conversations. External stakeholders included investors, clients and in some regions regulatory authorities, while internal stakeholders included employees. What actions were taken by WSP to promote diversity? Canada: 100 Days Challenge. The 100 Days Challenge is a programme that develops professionals unique in their field, revealing their talent, promoting a more ambitious attitude and propelling careers in innovative ways. The 2016 programme included 50 hours of training during 100 days for eleven women in the first cohort, with weekly online exercises; expert videos and online articles; multiple networking events; group workshops and conference calls; access to a unique business network; a final report to measure the impact of learning and support at all times. US: US Diversity Committee. The diversity committee provides leadership, structure and accountability to diversity efforts in the US. It is sponsored by and has the full support of the US executive leadership team and aims to ensure that the firm continues to recognise, utilise and celebrate WSP’s diverse individuals; cultivate a balanced pipeline of qualified candidates; promote an inclusive community grounded in respect and appreciation of women, minorities, individuals with disabilities, veterans and other protected groups; and monitor and enforce compliance with all federal, state and local diversity laws and company diversity policies and procedures. Australia/New Zealand: #engineeredHERway. #engineeredHERway is a recruitment campaign for WSP’s Australia and New Zealand business committed to improving diversity at WSP. The campaign provides regular updates on programmes that are available regarding gender equality, showcases extraordinary women in WSP’s business and seeks to attract additional senior women to join WSP. UK: Women in Leadership (WiL) Network. The Women in Leadership network is closely aligned with WSP’s UK equality, diversity and inclusion strategy. WiL works with the business to help develop the right environment to enable women at WSP to reach their full potential, and to increase the number of women at senior levels. The network is open to all employees – women and men – at all levels of the business and across all UK offices. WiL provides a platform for its members to influence WSP’s business culture, and exposes them to senior colleagues from different teams and offices. WSP is committed to providing equal opportunities in employment. Accordingly, WSP does not tolerate harassment or unfair discrimination against employees or contract staff in its recruitment and employment policies, terms and conditions, procedures, processes and decisions, on the grounds of race, colour, nationality, national or ethnic origin, gender, marital status, sexual orientation, part-time or fixed-term status, disability, age, religion or belief. WSP monitors and addresses discrimination incidents, according to corporate policy. In 2016, WSP recruited Fannie Jacques as Vice President, Global Human Resources. Fannie Jacques has a track record of developing women in leadership roles and promoting gender balance within the workplace. Additionally, she has supported organisations in creating strategies to attract, develop and raise the profile of women in professional settings. WSP’s Global Diversity and Inclusion Policy calls for fair and equal treatment of employees free from discrimination, and includes specifically pay discrimination as an area of focus. WSP monitors pay equity data internally and is committed to equal pay for its employees, constantly seeking opportunities to strengthen its balanced approach to compensation. Accordingly, WSP works internally to prioritise equal remuneration strategies with stakeholders in human resources and management, and to refine its tracking and analytics. Note to WSP: With each case study we send out an email requesting a comment on this case study. If you have not received such an email please contact us.